I love a good brow. It's a step that I won't miss in a full face of makeup, so I go through brow products regularly. Years ago I would use any brown powder that I had on hand (routine here), paired with a slanted liner brush and a spoolie to blend out the colour. My skin gets oily and it's difficult to blot inside the brow area, so I've always enjoyed the natural effect and easy application of powders. I've rotated between a few (Body Shop, Annabelle, Lancôme's Cappuccino, Marcelle, etc.) but once I realized that my perfect taupe shade only came packaged in an eyeshadow palette (Lancome Petal Pusher here) I decided to start shopping around. I tried MAC Omega and a few others, but nothing looked just right. There is something very appealing about a super thin pencil to mimic the natural appearance of hairs, so once I began testing, I was hooked. Especially when I'm doing my makeup on the go, pencils work best to create a quick and natural filled-in look that completes my face. I can't say that I have one favourite, but if the Annabelle Brow Show Liner & Highlighter (featured here) came packaged in a retractable pencil form with no highlight side and a spoolie tip, I'd be over the moon. 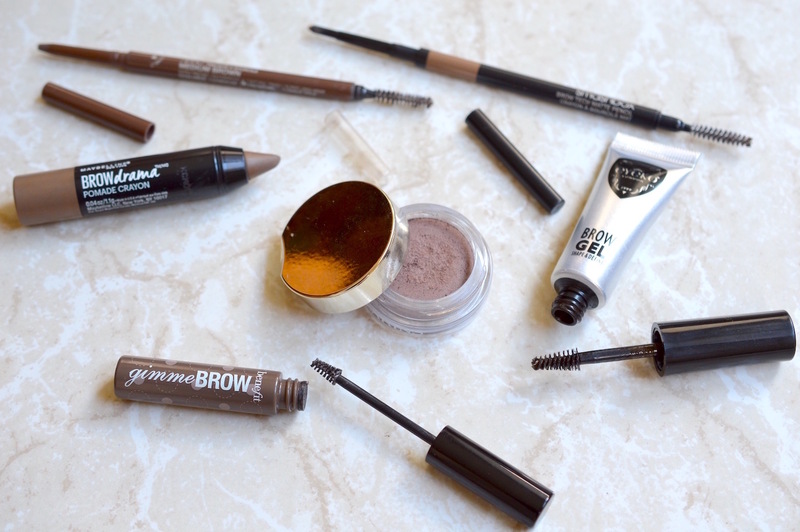 Until then, here are my current top brow buys for a neutral dark blonde hair tone. This Maybelline chubby pencil is a wonderful colour, and comes in a very unique format. I don't like how the pencil doesn't roll down completely, since the cap will nick the top of the pomade stick. For around $10 on sale, it is a great product to keep in your bag as a last-minute fix. The texture is quite soft, and it is extremely quick to apply. 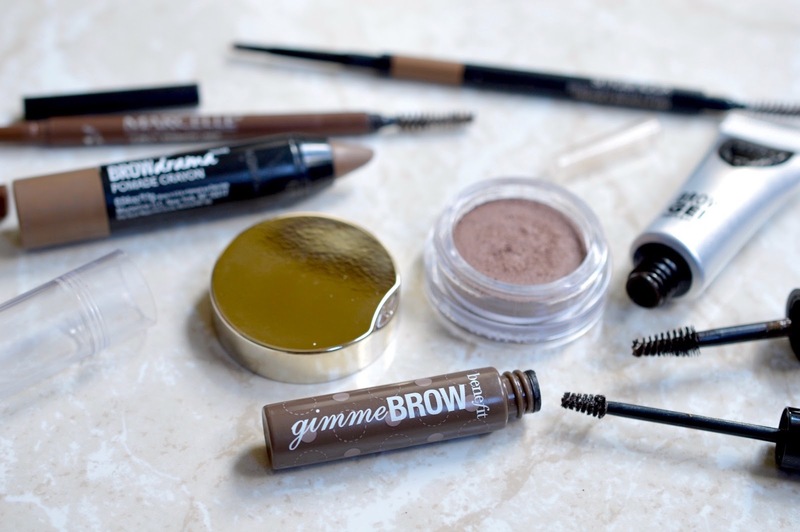 If I'm looking for some more volume and definition, I'll brush through my brows with the Benefit Gimme Brow. This is good pencil, but it's just a touch too warm for my complexion. The main problem is the packaging. With two caps that look identical, one fits on the brush side and the other is a bit longer for the pencil side. If you mix them up, the brush cap will completely crush the pencil tip. It pisses me off so much because this pencil is expensive, so I tossed that brush cap to avoid the mistake. I'm now noticing that the tip of the pencil breaks very easily, and there is no way to see how much product is left since the pencil only rolls up, not down. Needless to say, I won't repurchase. I think this is my favourite brow pencil from the drugstore. It works the best at mimicking real brow hairs, and the shade is great - dark enough when you build up colour, and pigmented so you don't need much. The Sephora Collection Retractable Brow Liner is also good (featured here in my empties) but I'd sooner buy the Marcelle since I prefer this spoolie brush vs the plastic comb. I featured this pencil in my Travel Makeup Bag post here. I've been meaning to try more pomade/cream brow items, but I haven't splurged on high-end, and the e.l.f. one (here) isn't available at drugstores in Canada. 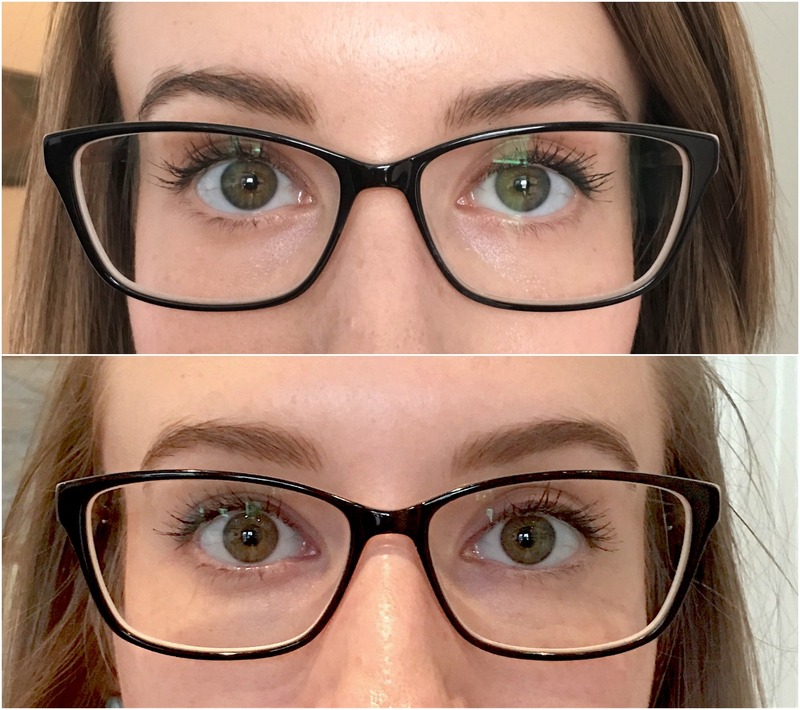 I recently got this Clarins Ombre Matte Shadow in a giveaway on Jayne's blog Cosmetic Proof, and I surprisingly love it as a quick brow fix. The powder itself is somewhat creamy so it doesn't kick up excess powder when applied with a slanted brush. Whenever I want an intense brow (you can see it on my face here) this is my go-to product. This brow-volumizing fiber gel is absolutely lovely. Whether I'm layering it over the Maybelline Pomade or using it alone to amp up my bare brows, I've begun to use it a lot more. It resides in my makeup bag for on-the-go application, so I'll definitely consider buying the Essence "Make Me Brow Eyebrow Gel Mascara" for $5 at Shoppers since it's the perfect dupe. 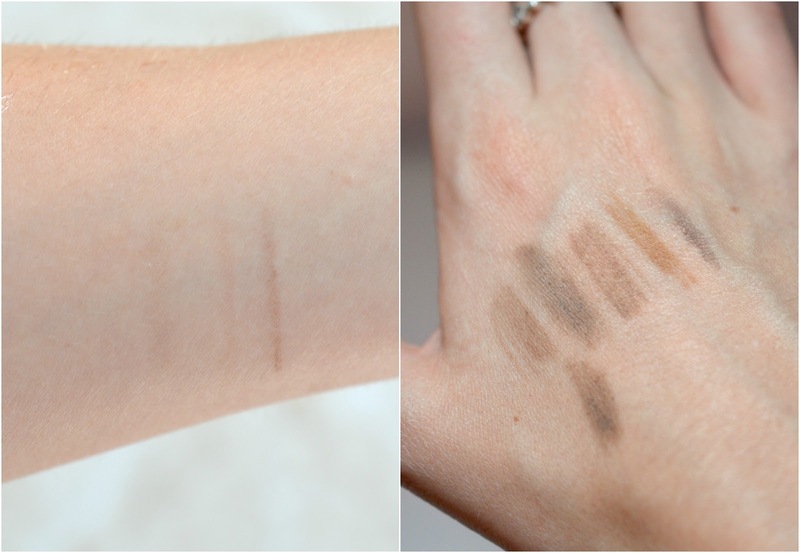 Tip: Wipe off a bit of product onto the tube edge if you're getting too much on the brows. I first got this in a Luxe Box reviewed here and I thought that the green-ish shade was super weird. After using it for a few months, I've really begun to like it! I'll use this over a powder or pencil when I want a hint of darkness and extra hold if my brows are feeling rowdy. It isn't a sticky formula and the small cone-shaped brush works great for precise application. 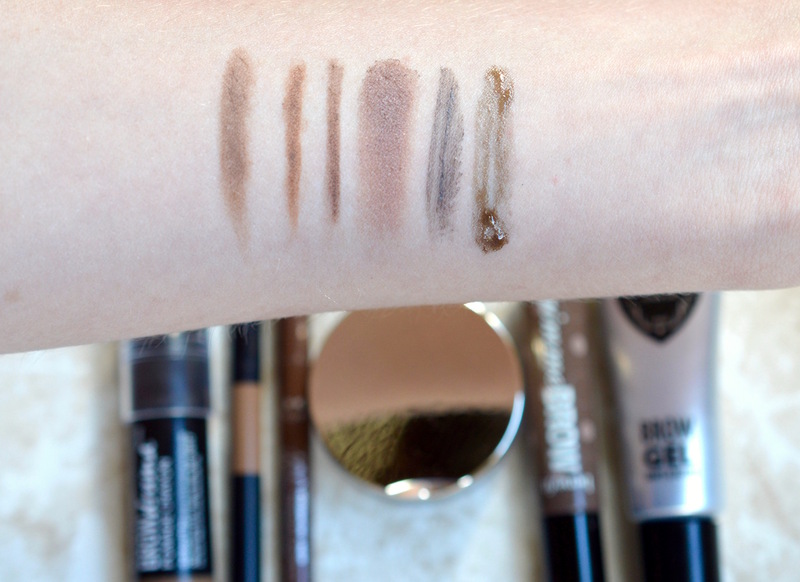 Tip: Wipe off a bit of product onto the tube edge if you're getting too much on the brows. All things considered, I'll go out and repurchase the Marcelle brow pencil (here) or one from NYX since a drugstore option is key for products that you'll run through so fast.